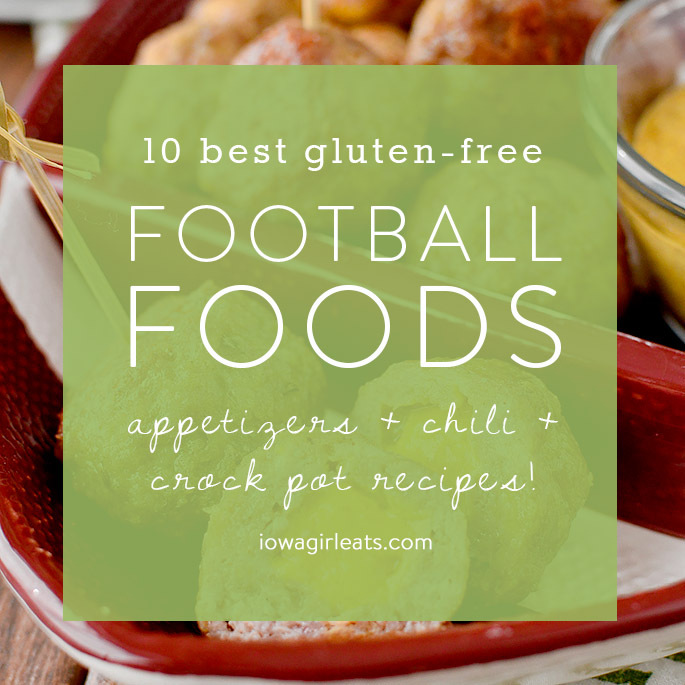 From appetizers to chili, crock pot recipes and more, cheer on your favorite team with these 10 best gluten-free foods for watching football! Holy cow, it’s been a week! From doctors appointments to meet the teacher night, getting Lincoln settled into his new classroom, and trying not to claw my skin off thanks to the poison ivy patch I somehow managed to drag my shoulder, arm, and leg through (?) these past few days have been a total blur. That said, I’ve never been more happy to see a Friday arrive in my life, and am officially counting down the days until I can cheers to weeks like this with a goblet of sauvignon blanc – Ben, if you’re reading this, put the Decoy on ice! ? Anyway, Ben and I have a rib-off planned (my Easy Baked Ribs vs his smoked ribs – thank you affordable 3-rack bundle from Costco for making this delicious event possible,) and are inviting friends over for the game. Pre-kids we’d post up at a sports bar and watch the Hawks each Saturday, but now that we’ve got our little man and gluten-free bun in the oven, we like to get something delicious bubbling on the stove or in the crockpot, or make lots of yummy appetizers, then invite people over to share and cheer on our favorite teams together. Of course we’re always hoping for a win but a great spread of food definitely lessens the sting of defeat, so today I’m sharing 10 of my favorite, gluten-free football watching foods. 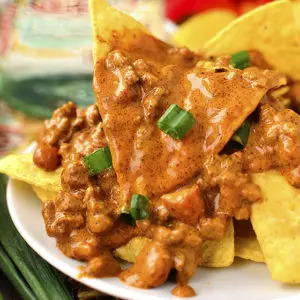 From two bite appetizers, to chilis and more, these recipes are absolute favorites of ours during football season. Who are you rooting for this year? 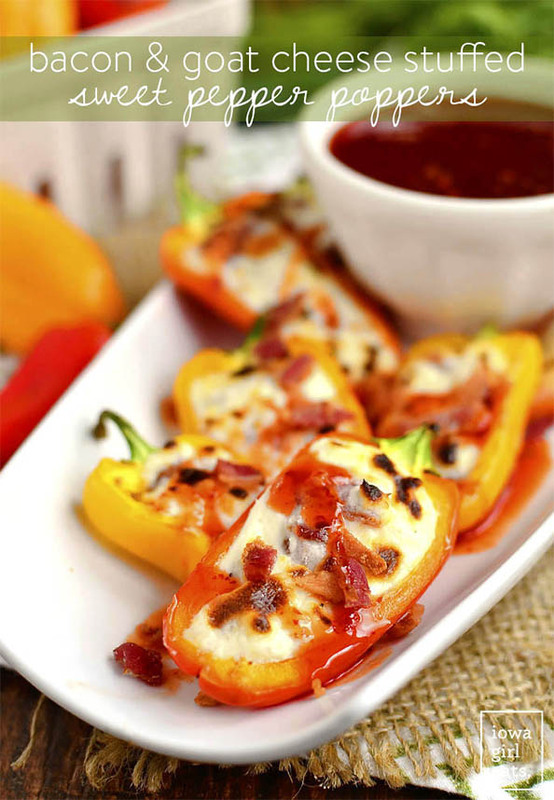 I think about Bacon and Goat Cheese Sweet Pepper Poppers at least once a week – they are addictingly delicious. These bites are good hot, warm, or room temperature, and the combination of salty bacon and sweet chili sauce is just unstoppable. Meaning you won’t be able to stop popping them into your mouth! Maaaaaybe my favorite thing on this entire list? 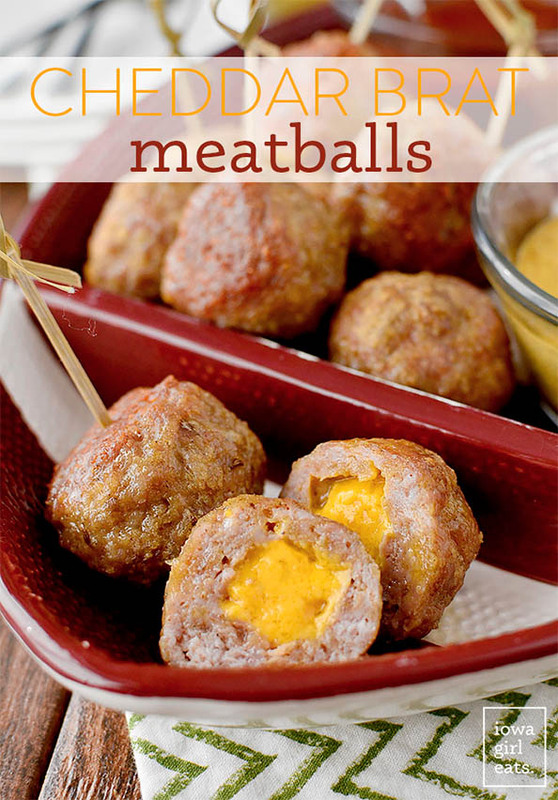 Cheddar Brat Meatballs taste exactly like regular bratwurst but the meat mixture is homemade, so there’s no funky fillers, and each meatball is stuffed with a cube of cheddar cheese. 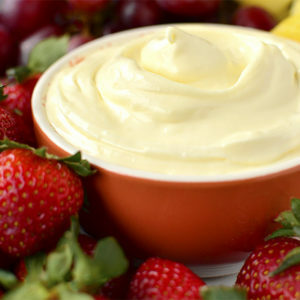 THE BEST – especially when dunked into one of three, 3-ingredient dipping sauces! 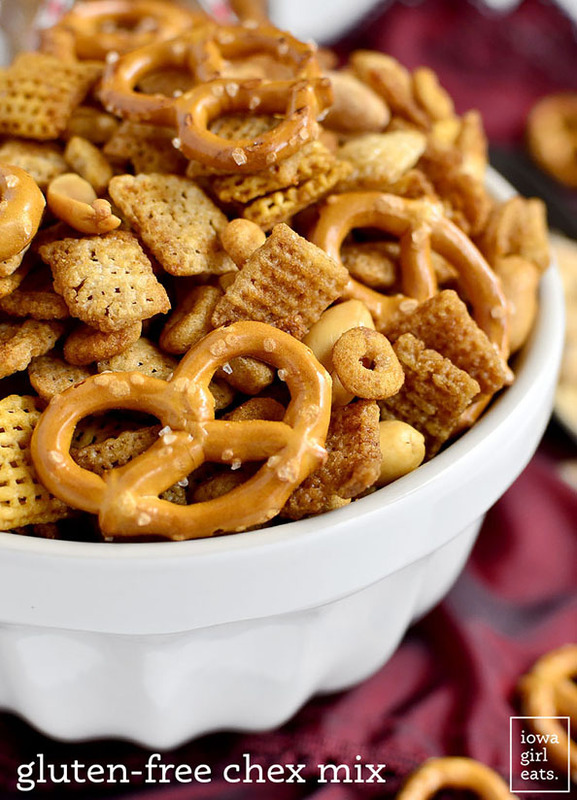 Beer, bread, and Pepperidge Farms frozen birthday cake I can handle losing to Celiac Disease, but Chex Mix? No way! Thank goodness this salty, savory snack is a cinch to make gluten-free, and for that reason it’s a staple at all our football watching parties. Perfect for tailgating, too. Crock pot sandwiches are great for game day because people can go grab a bite anytime they’re hungry vs having to wait until an entire spread of food is ready. 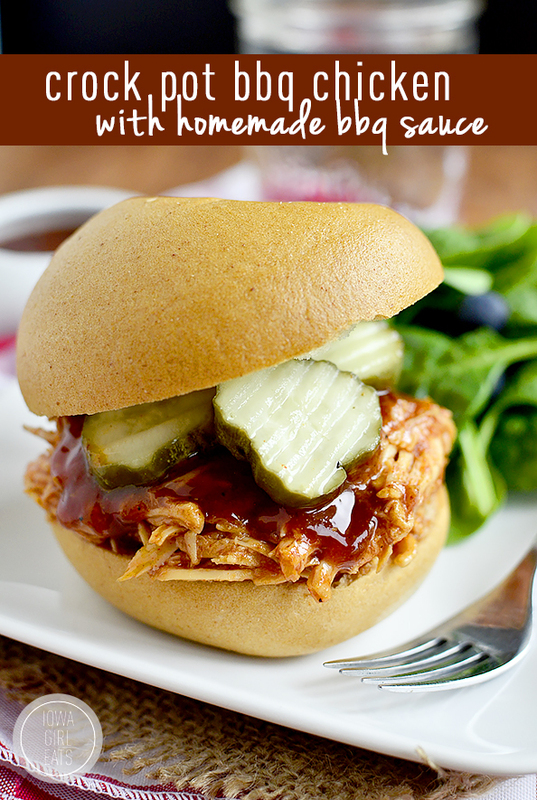 Crock Pot BBQ Chicken with Homemade BBQ Sauce is delicious piled onto GF buns or tortilla chips. The chicken is really tender and the homemade BBQ sauce has a great balance of smokey, sweet, and spicy. This is a great kid-friendly option. Oh yes, your favorite fake-out take-out dish in meatball form! 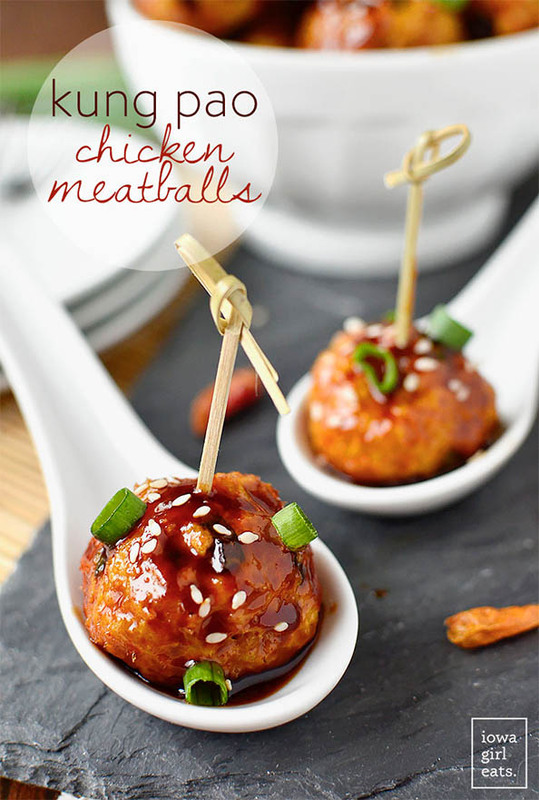 Kung Pao Chicken Meatballs are lean chicken meatballs tossed in a luscious, sweet/tangy/savory sauce. Bake then keep warm in a saucepan on the stovetop or in a crock pot. 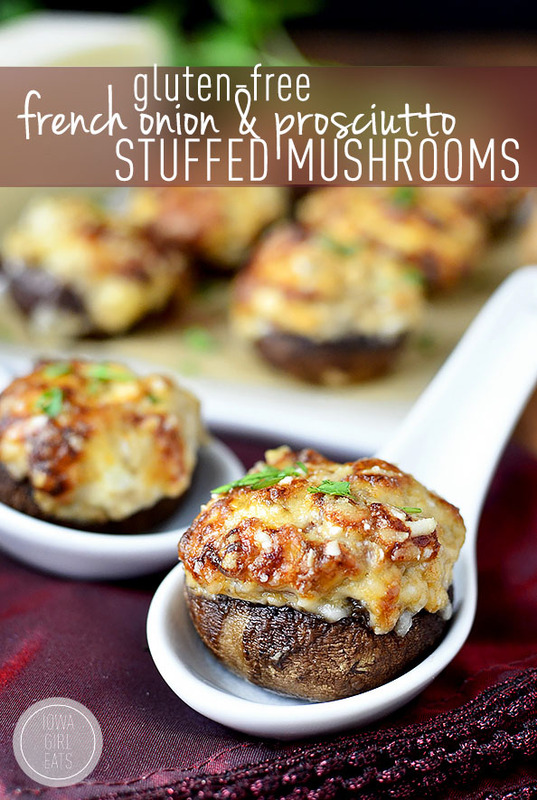 If you’re feeling a little fancy on game day, try my French Onion and Prosciutto Stuffed Mushrooms. Crazy good, plus they’re able to be assembled ahead of time then baked whenever you want to dig in. Elegant-tasting but easy to prepare. I feel like the start of college football season is when I can officially break out my Smoked Sausage and Chicken Gumbo with zero guilt that I’m rushing summer along or something. 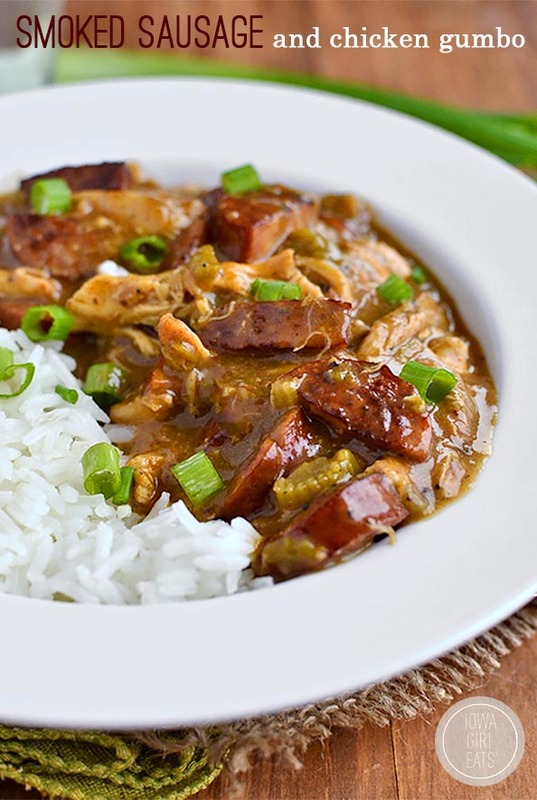 This gumbo was sent from Heaven and it is the perfect game-day grub. Perfect for cool, October Saturday mornings. Steamy bowl of gumbo in one hand, cold brewskie in the other. I cannot WAIT to make this soul-satisfying dish! 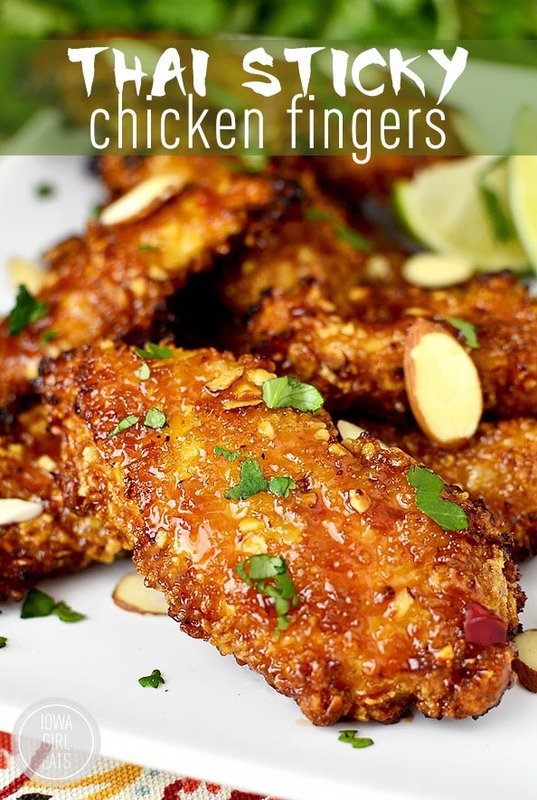 Sticky, sweet, savory – finger lickin’ GOOD!!! 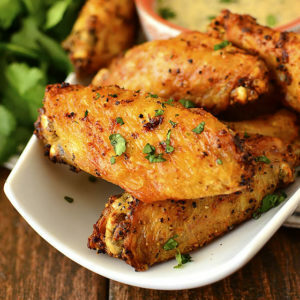 If you like to eat chicken wings while watching football, try my Thai Sticky Chicken Fingers instead. Oh man, this dish is so delicious! What football watching party is complete without the scent of chili simmering away? 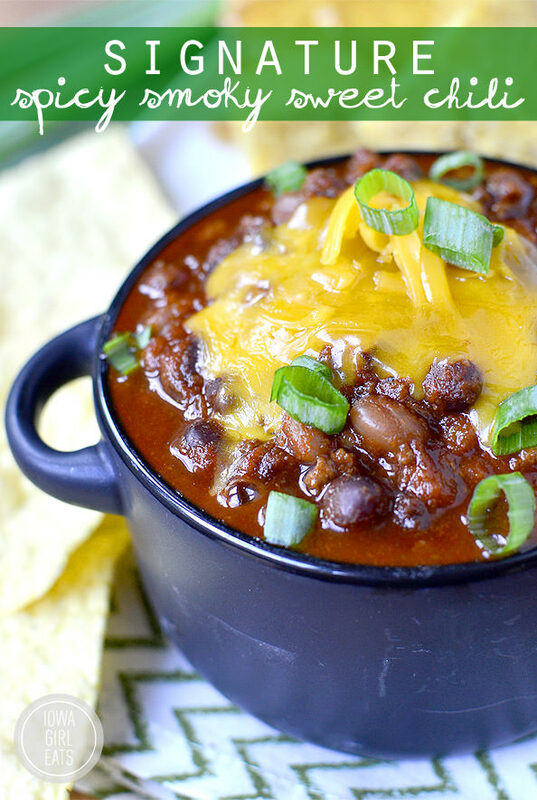 Signature Spicy, Smokey, Sweet Chili has been my go-to recipe for years and years. 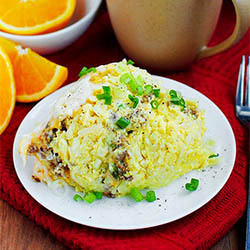 Keep warm on the stove or in the crock pot, and be sure to have plenty of shredded cheese and tortilla chips on hand. Ok, ok Ben’s smoked ribs are one of the best foods on the planet, but if you don’t have a smoker, Easy Baked Ribs are where it’s at. 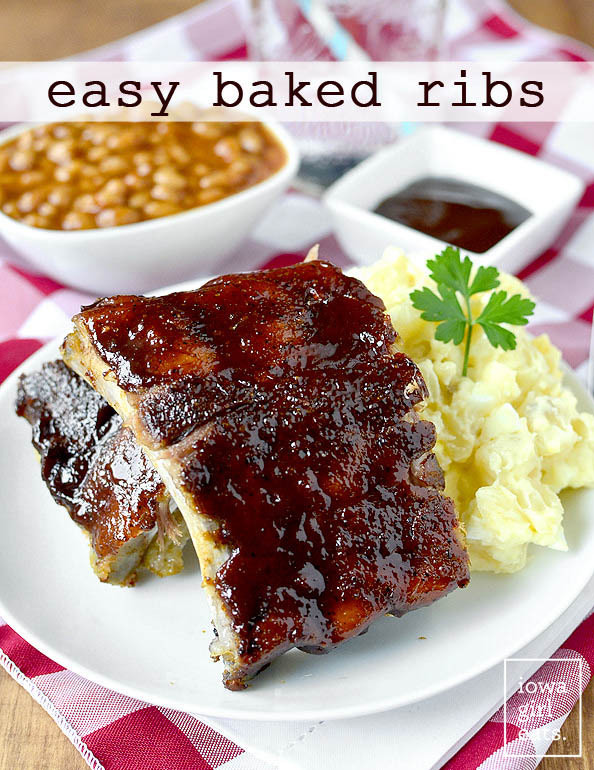 This recipe is fool proof and you will not believe how tender the ribs turn out. Can’t wait to taste them this weekend! PREVIOUS: Italian-Style Chicken Sliders + The Inspiralizer Giveaway! Krisitn these all look amazing and the pictures just pop out of the screen! Going to be hard to choose what to make! What a round up!! 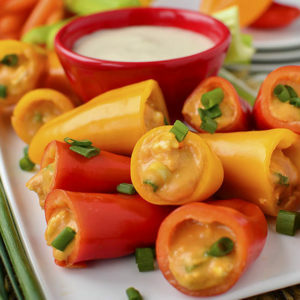 Those goat cheese sweet pepper poppers and thai sticky chicken fingers are calling my name. I want to go to them, but I have to work. Soon my delicious friends! Cheddar Brat Meatballs, for the win, this Saturday as we root on OHIO STATE! Go Bucks! Oh my gosh, that is so great!! So glad you are enjoying the recipes, Jenny! These all look great – I’ll be cheering on the Iowa State Cyclones!!! Go Hawkeyes! We’ll be at the game! Hope you had fun!! Looked like the weather was picture-perfect! All these recipes look wonderful! I have tried you smoky chili and its yummy. Can’t wait to try the others. So glad to hear it, Gloria! We sure do love it around here too! 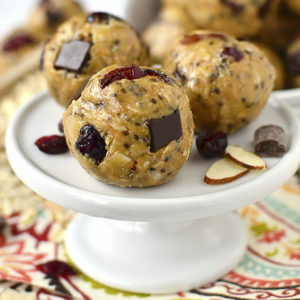 a great round up of delicious recipes! and a win for Iowa!! go hawks! !